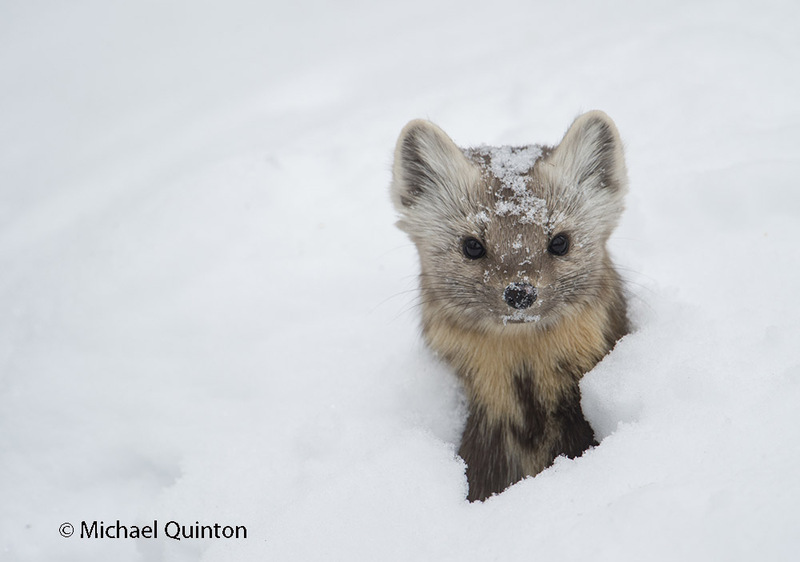 A marten pokes up through the snow to look around. 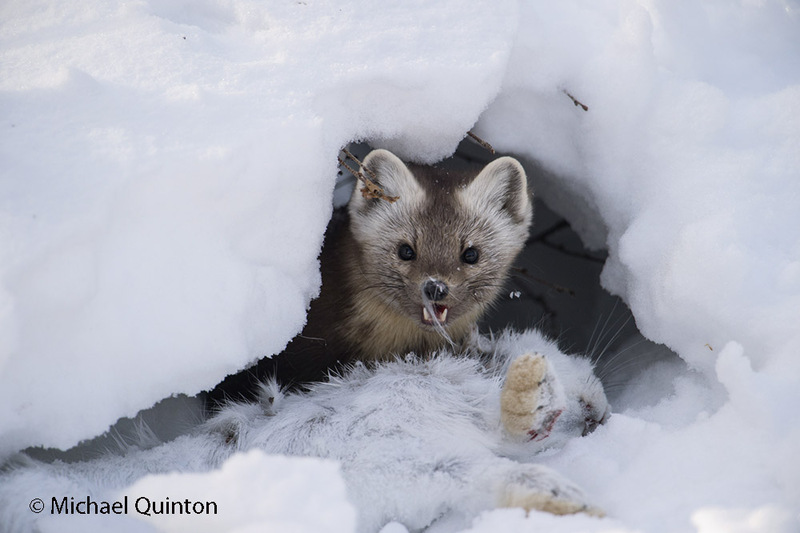 The shy and careful weasel, not liking to be exposed, has pulled its prey, a snowshoe hare, into deep snow. 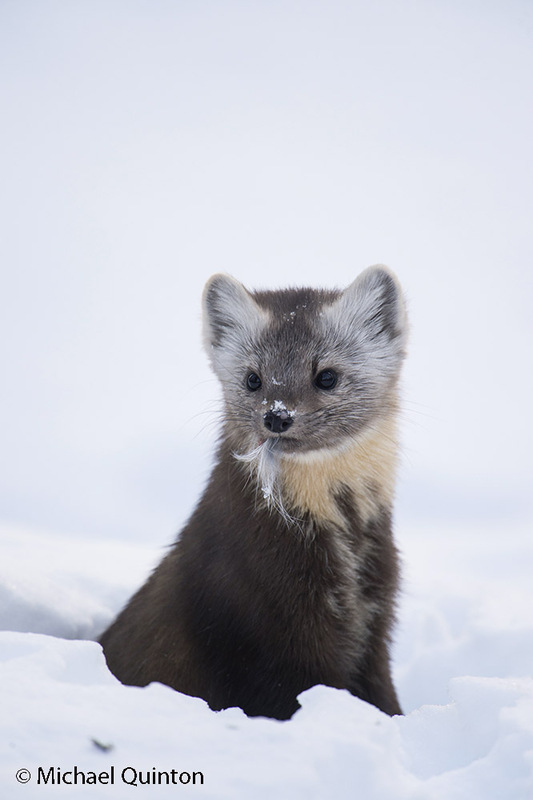 Though I have gone several years between marten sightings in the past, i typically have one or two sightings a year. But, just last week we had a marten hanging out at our place for several days. The forest around our home was laced with its familiar tracks and all the trails seemed to begin at a big wood pile like spokes of a wheel. We saw it several times daily and I was able to take hundreds of photographs of the usually elusive predator. From our front row seat at the window, we watched as the marten climbed up a spruce to a red squirrel nest and stole goodies the squirrel had stashed there. And, once I watched as it chased a snowshoe hare through the black spruce. It managed an amazing burst of speed and very nearly caught up to the hare. But when pressed the hare showed he is even quicker So, I was a bit surprised to look out the window and see the marten tugging and pulling at a hare it had caught during the night. It pulled the hare into the deep snow where it could butcher its prey concealed from the prying eyes of other predator and scavengers. First the marten gnawed off the hares head and cached it in the wood pile. The next day it cached the hares front legs. Cindy and I watched as the solitary marten entertained itself by running an obstacle course around and through the wood pile then roll on its back in the snow. Though half the snowshoe hare was still left I spent the next two days watching and waiting for it to reappear. But just like it appeared, it disappeared. A pair of gray jays began to work the hare carcass hauling if away piece by piece, stashing it among the black spruce boughs. A pair of ravens wanted their share but only stared. For ravens, of course, are very cautious, even fearing their own food. But ravens are keen spies and watched carefully where the gray jays cached their loads. 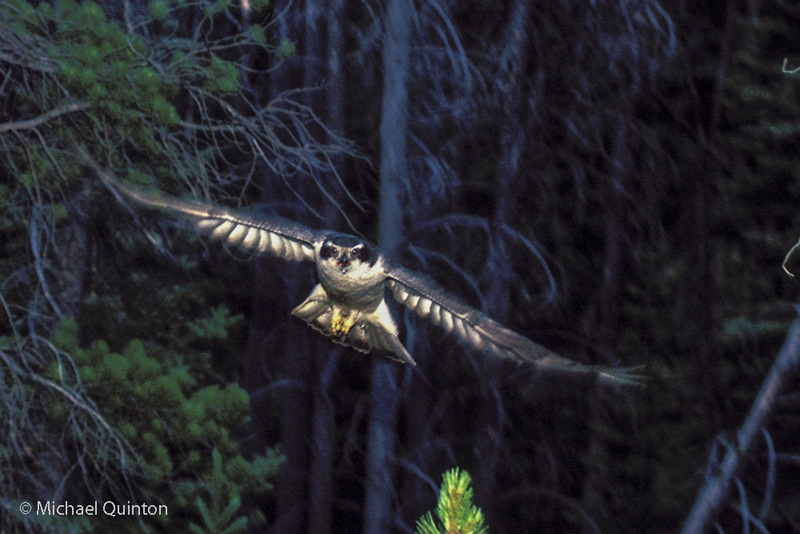 A hawk owl made a lightning quick chase and near miss of one of the gray jays. 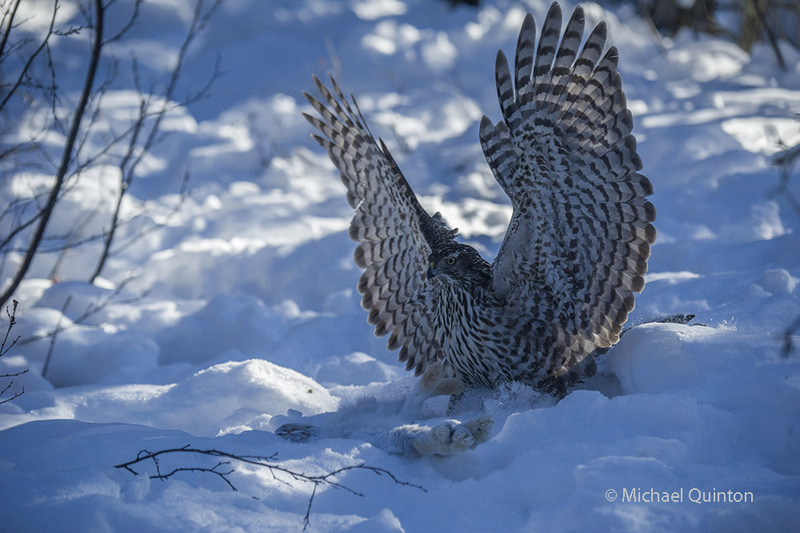 And later, I saw it swoop quickly again in the vicinity of the snowshoe hare carcass. Thinking it might have caught the gray jay I approached with my camera and telephoto lens. 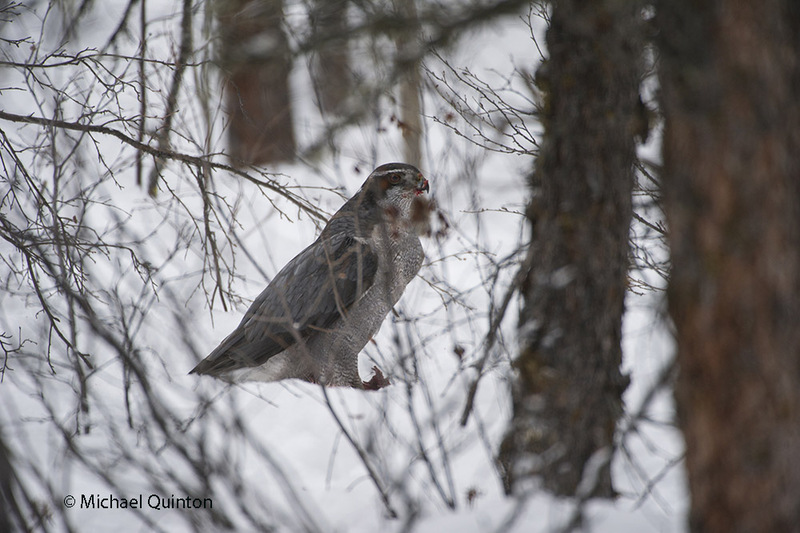 But the hawk owl had not caught the jay, instead it stood on the snowshoe hare carcass tugging. From the thick spruce nearby I heard a second hawk owl calling. It was the begging call of a female. After several minutes of biting and pulling the hawk owl, presumably a male, managed to tear off a chunk of the hare. It flew to a spruce and was soon joined by the female who took the offering. 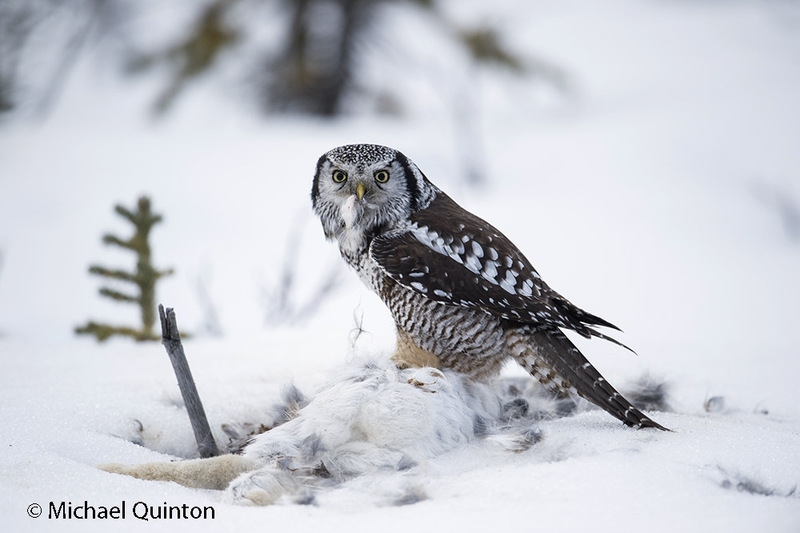 Northern hawk owl continues the butchering process of the marten’s kill. Though It is true that a predator may not use all of its prey, nothing is wasted. 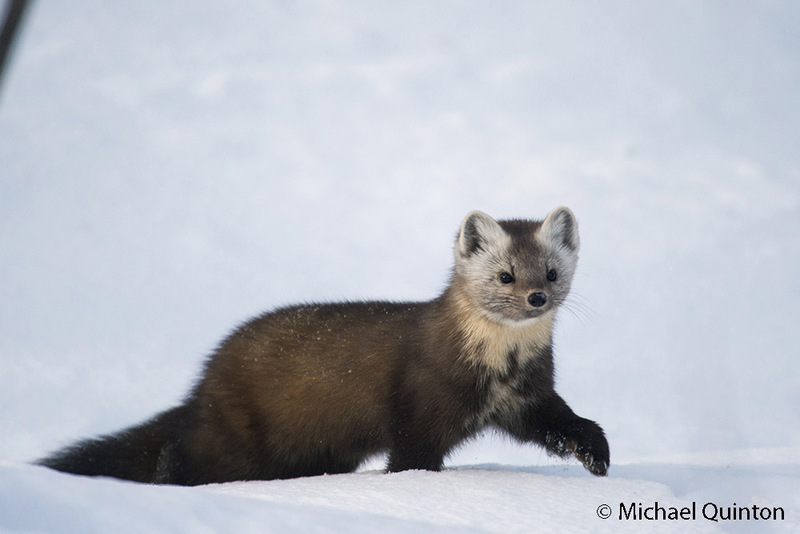 This entry was posted in wildllife and tagged Alaska, backyard safari, boreal forest, forest, mammal, marten, naturalist, photography, predator, spruce forest, weasel, wilderness, wildlife, winter on March 26, 2019 by admin. 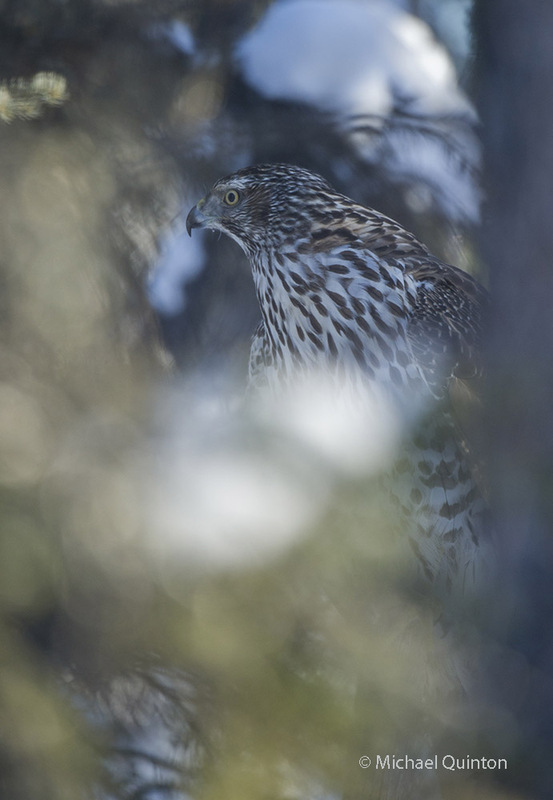 From a perch in a stand of stunted black spruce, a well camouflaged immature northern goshawk stalks its prey. Their short, wide wings and long tail give it both speed and manoeuverability to pursue prey in the forest. 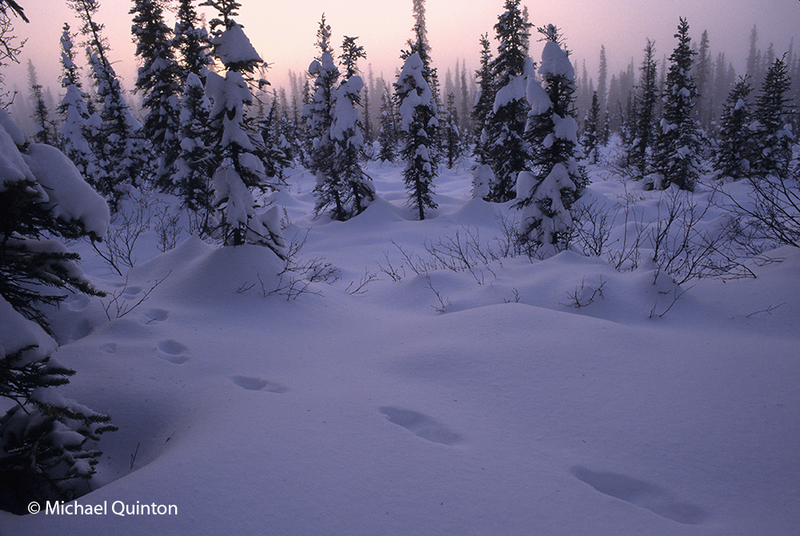 No small bird or mammal is safe from a sudden ambush, but this winter the large accipiters key on snowshoe hares. 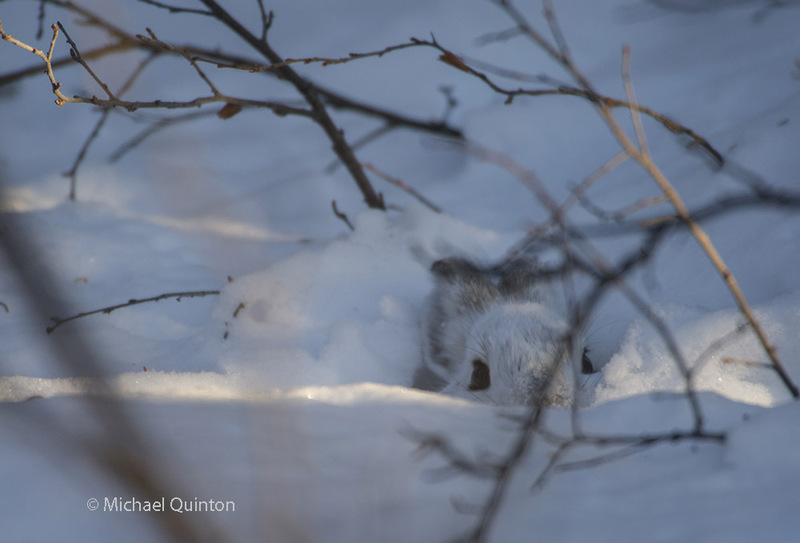 The snowshoe hare has perfected the art of camouflage, but as an extra defense against the goshawks, they often use snow burrows. But the snowshoe hares’ best defense against the sudden attacks by goshawks is its nocturnal behavior. 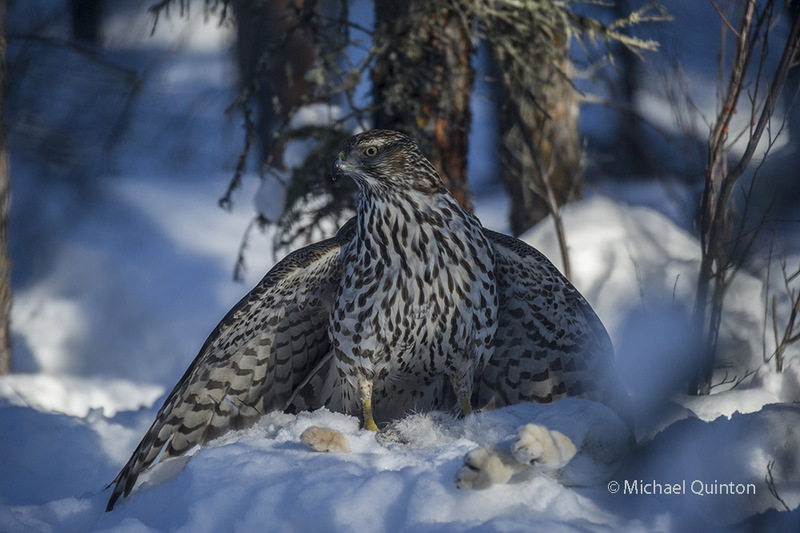 An adult northern goshawk feeds on a snowshoe hare. As I photographed a snowshoe hare this immature northern goshawk suddenly appeared out of the blue shadows and killed my photo subject. She mantles her prey with powerful wings. 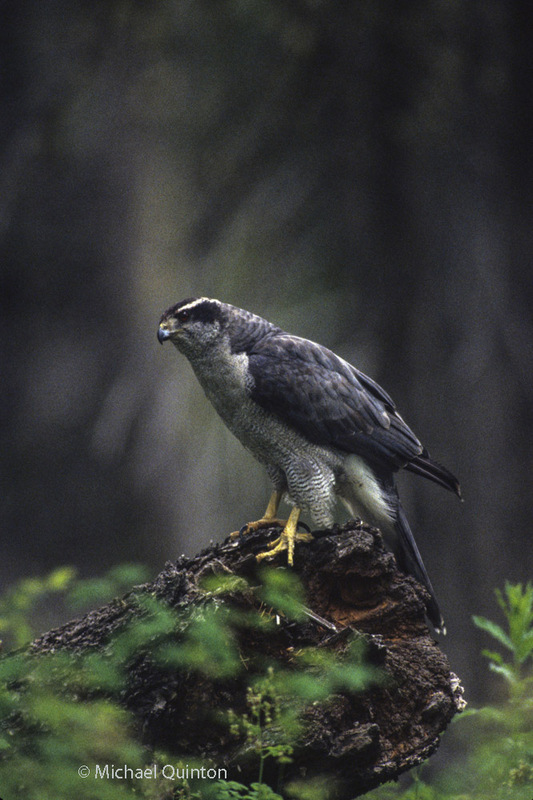 Often northern goshawks show little fear of humans. When I approached it flew a few yards away but quickly returned to its prey. The goshawk fed for nearly an hour leaving only the feet, fur, guts, head and large bones. 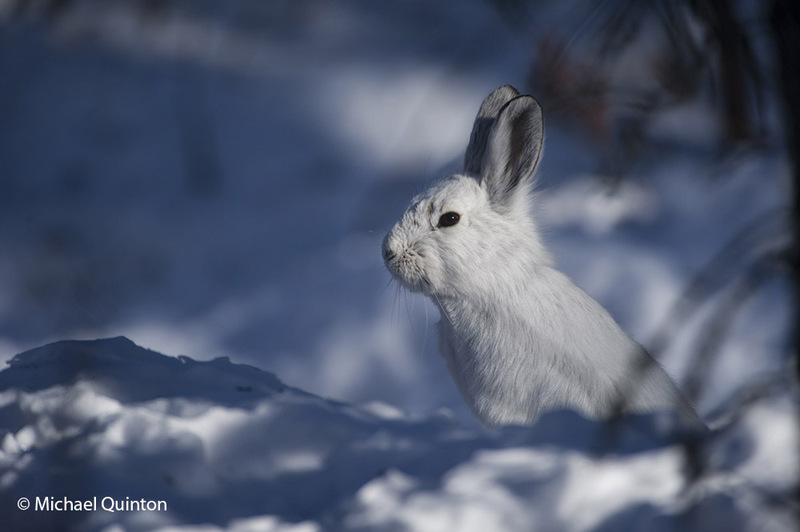 While the snowshoe hare population is near its peak this year, their primary predators populations (northern goshawk, lynx, coyote and great horned owl) are also peaking. And this heavy predation will inevitably cause the next snowshoe hare population crash. For months, over two nesting seasons I spent nearly every day in the company of northern goshawks. Slowly they would reveal their secret lives. High in the canopy a female tends to her day old chicks. 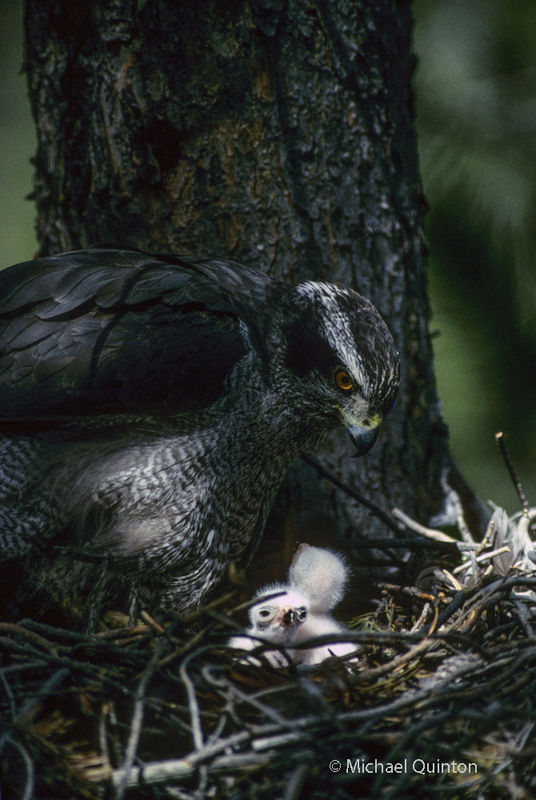 After the chicks hatch, northern goshawks become very aggressive at their nests. By visiting the nesting territory on a daily basis, starting early in the nesting season I seemed to have gained the trust of the goshawks. By building my blind near their nest under the cover of darkness, wearing the same clothes everyday and never disturbing the nest, I was able to climb into my photo blind or walk around the forest below unmolested. 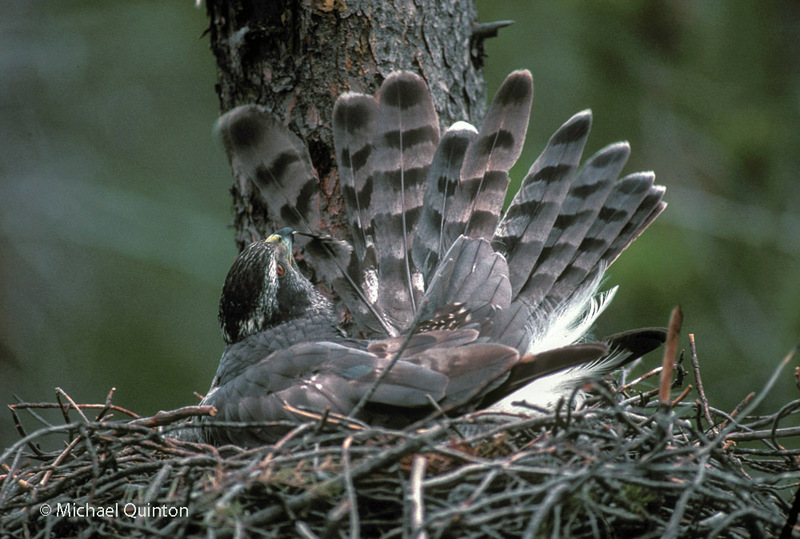 The great female goshawk rose up from her eggs and stepped to the edge of her three-foot wide nest. Eyes of blood locked onto her target. Diving headfirst off the nest, she pumped her wings quickly accelerating to attack speed. Long tail feathers flared and pivot, sending the goshawk speeding around the base of a large douglas fir and crashing into the understory. Squealing in terror, a red squirrel jumped to the trunk and instinctively darted to the opposite side, sticking like velcro to the rough, dry bark, then squirrel shot up the trunk into the canopy. Again the goshawk attacked. Going up, the squirrel was faster but on the way back down the goshawk closed the distance. Among the thick branches of the canopy the squirrel had the edge, but not by much. 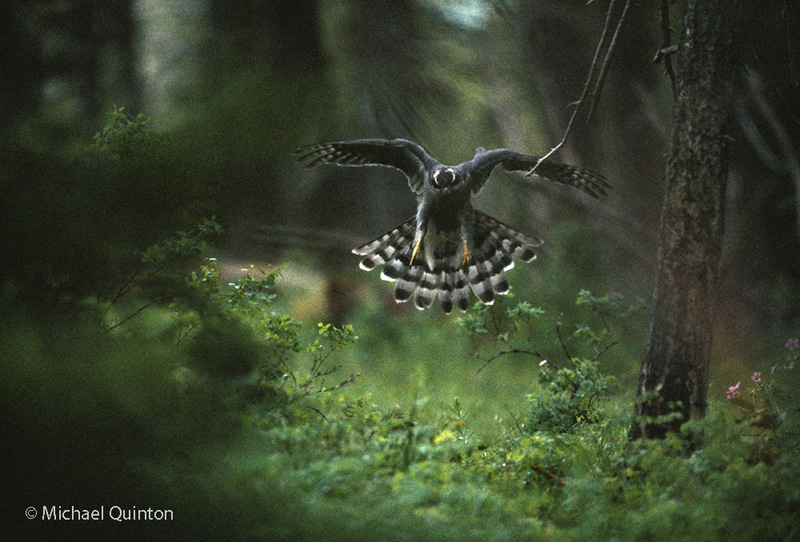 Using feet, bill and wings, the goshawk literally swam through the boughs. Desperate to lose the hawk, the squirrel spiraled up the nest tree and right over those precious eggs, before jumping to an adjacent tree. 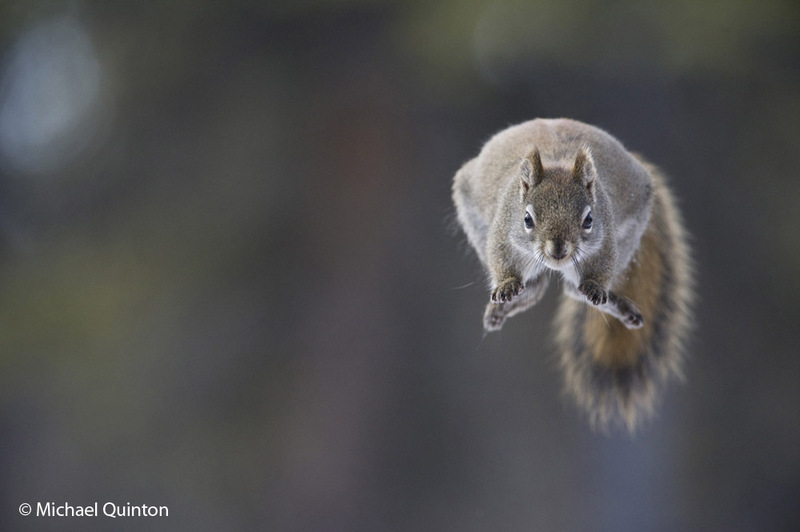 The squirrel somehow missed being snagged by those talons, utilizing unearthly tricks of speed and anti-gravity. I could keep track of the chase through the various observation and lens slits cut into the photo blind, but the action was much too quick and hard to follow so I missed getting any photos. It was inevitable I guess, when I felt the squirrel coming up my blind tree, the gos riding his wind. A vision of the squirrel taking refuge up my pant leg was suddenly a painful possibility. Just as the squirrel shot inside the blind I yelled and smacked the side of the blind. Luck was cheap that June morning. After a couple of quick laps around the legs of me and my tripod, the squirrel dashed back out and jumped to the next tree about five feet away. Slamming through the branches with little regard for its plumage, the gos didn’t let up. 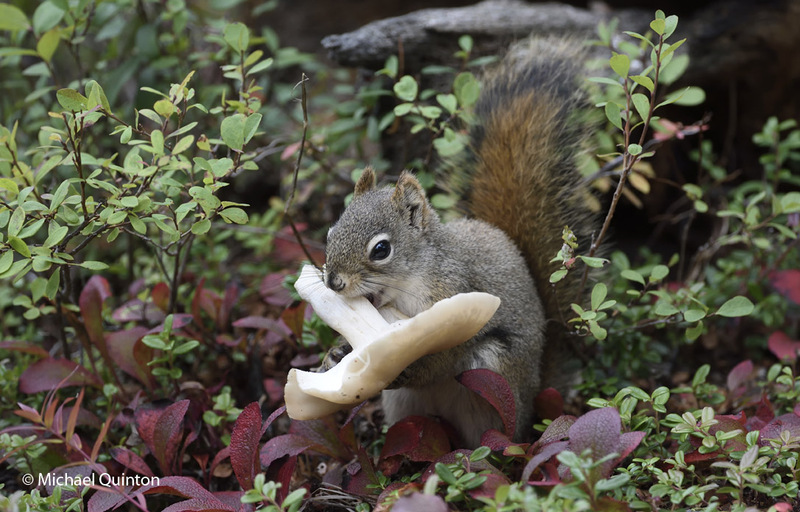 But the squirrel had a little luck of his own stashed away. Running headfirst down the trunk, the squirrel made an Olympic jump 25 feet from the ground. Bouncing off the forest floor the squirrel made for thicker scenery. After orbiting several more big trees and an amazing sling-shot the squirrel made it to a thick jungle of downfall. For the next 30 minutes, the goshawk perched 20 feet below her nest and preened. The squirrel barked, chattered and buzzed and told the world what he thought of goshawks nesting in his five acres. Three weeks earlier, the goshawk had calmly sat on her eggs while this same squirrel climbed the nest tree, dug into the bottom of the nest to find and nibble on mushrooms. I guess it seemed like the perfect place to dry mushrooms. 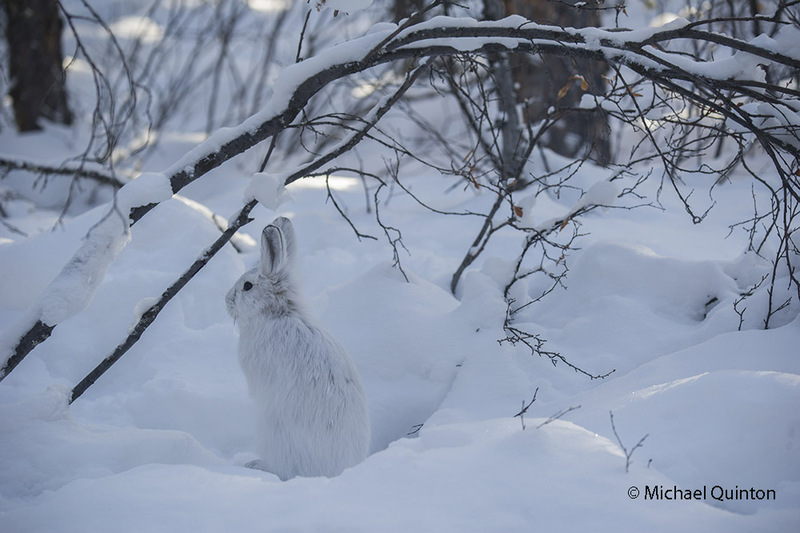 This entry was posted in birds, Uncategorized and tagged Alaska, backyard safari, birds, boreal forest, camouflage, forest, life cycle, marine wildlife, nocturnal, northern goshawk, photography, predator, red squirrel, snow, snowshoe hare, spruce forest, wilderness, wildlife, winter on March 10, 2019 by admin. Snowshoe hares in winter feeding on dry alder leaves. 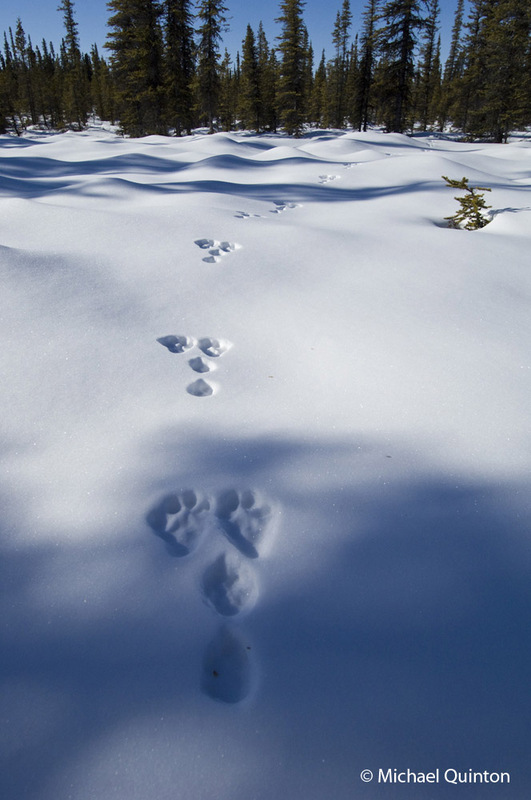 This entry was posted in snowshoe hare and tagged Alaska, backyard safari, boreal forest, camouflage, forest, naturalist, photography, snowshoe hare, spruce forest, wilderness, wildlife, winter on February 8, 2018 by admin. This entry was posted in snowshoe hare, Uncategorized and tagged Alaska, backyard safari, boreal forest, camouflage, forest, lynx, naturalist, nocturnal, northern goshawk, photography, predator, snowshoe hare, spruce forest, spruce grouse, wilderness, wildlife, winter on April 2, 2017 by admin. 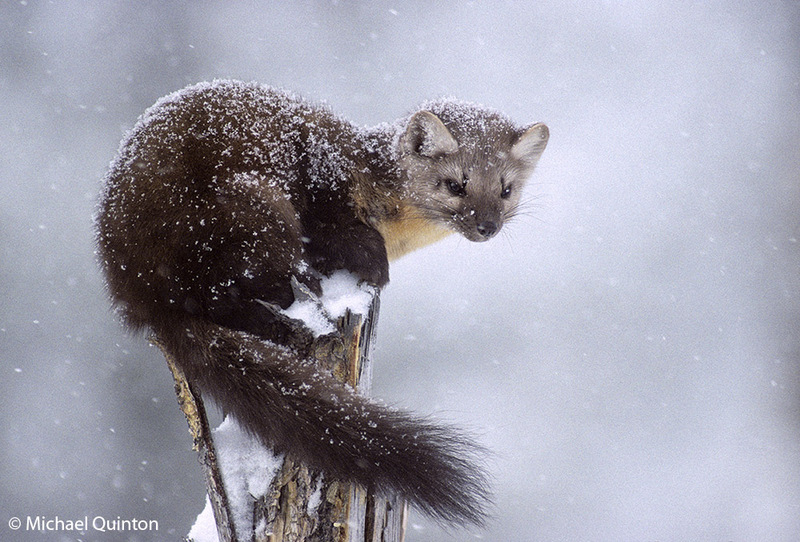 The marten scrapes out a tough living in the northern forests. The largely nocturnal members of the weasel family, prey on small birds and mammals. 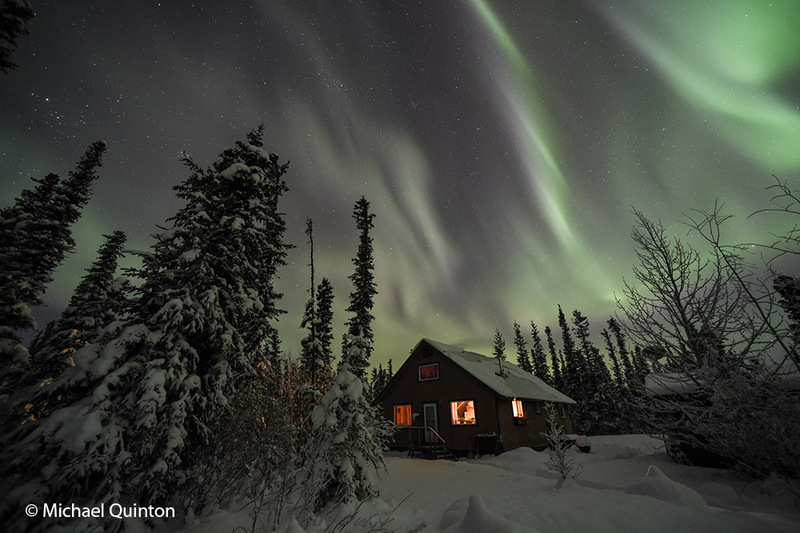 This entry was posted in Uncategorized, wildllife and tagged Alaska, audio, backyard safari, birds, boreal forest, flying squirrel, forest, homestead, marine wildlife, naturalist, nocturnal, photography, predator, red backed vole, red squirrel, snowshoe hare, spruce forest, wilderness, wildlife, winter on February 27, 2017 by admin. A female northern flicker approaches the nesting cavity. 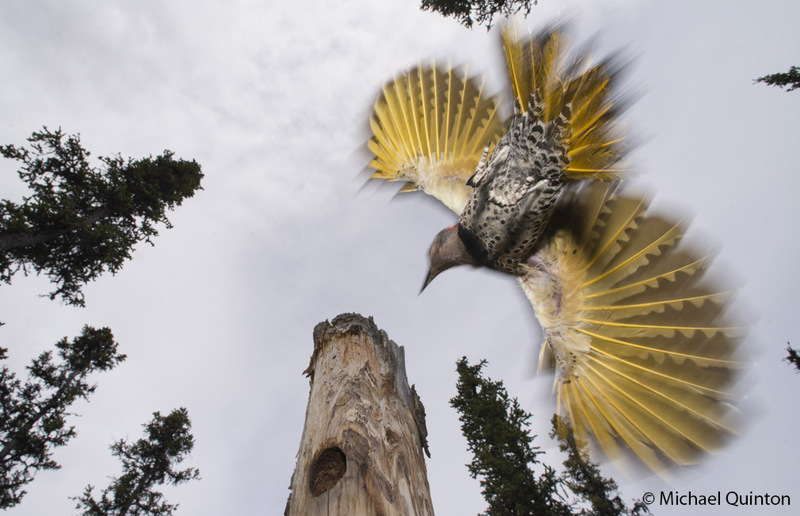 Life at the nest of northern flickers is at a frantic level. 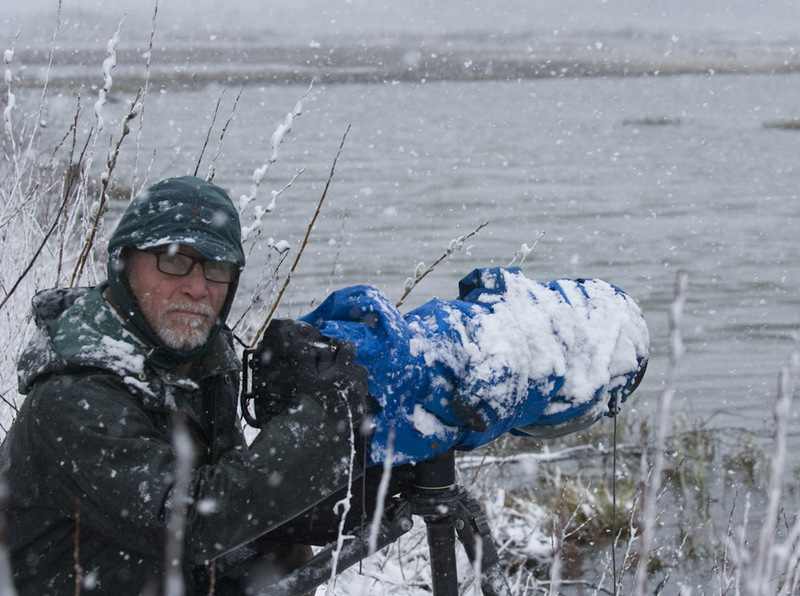 Most of the long, Alaskan summer days keeps the adults working at a breathless pace. 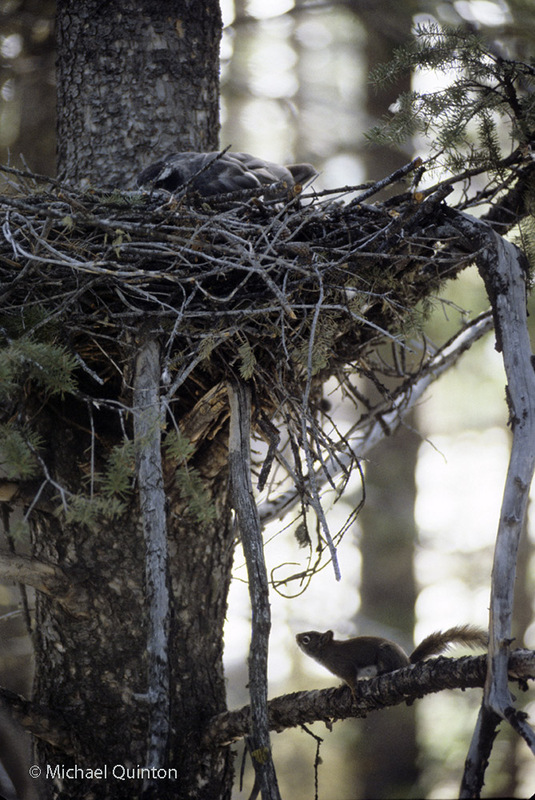 The pair at this nest take turns guarding the nest from the resident red squirrel or trespassing northern flickers and taking forays out into the black spruce forest to hunt for their main food, wood ants and their larva. When the female arrives back at the nest cavity with food for the young, the male departs. This entry was posted in birds and tagged Alaska, backyard safari, birds, boreal forest, forest, insects, naturalist, northern flicker, photography, spruce forest, wilderness, wildlife on July 3, 2016 by admin. A ruffed grouse male moves slowly through thick cover as it feeds on buds, last years berries and new leaves. 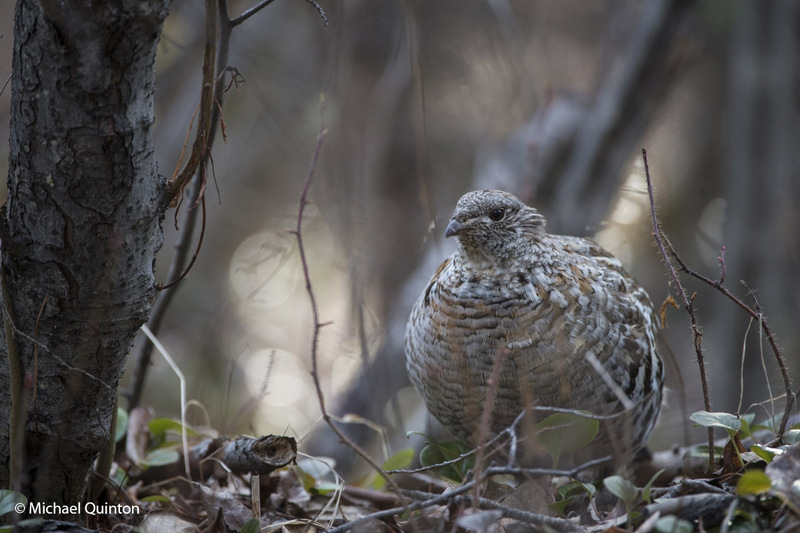 This entry was posted in birds and tagged Alaska, alder, backyard safari, birch, birds, boreal forest, courtship, forest, naturalist, photography, poplar, ruffed grouse, spring, spruce forest, wilderness, willow on May 18, 2016 by admin. Our home in the wilderness. 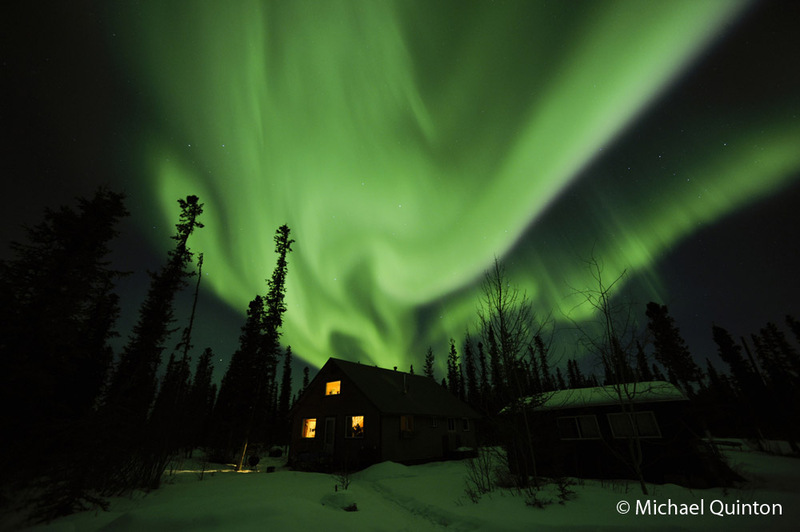 This entry was posted in photography and tagged Alaska, aurora borealis, backyard safari, forest, grizzly bear, homestead, kids, landscape, lynx, naturalist, nocturnal, spruce forest, wilderness, wildlife, winter, Wrangell St. Elias National Park on January 26, 2016 by admin. 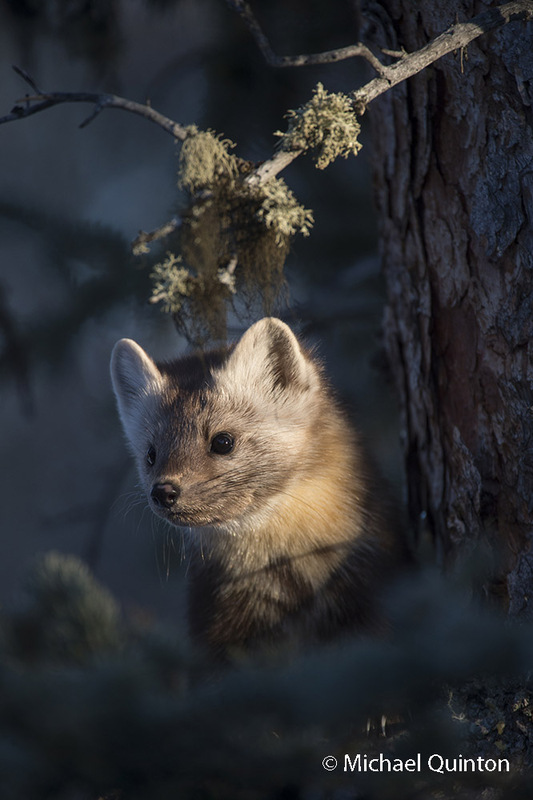 This entry was posted in Uncategorized, wildllife and tagged Alaska, backyard safari, forest, naturalist, photography, red squirrel, spruce forest, wilderness, wildlife, winter on August 22, 2015 by admin. 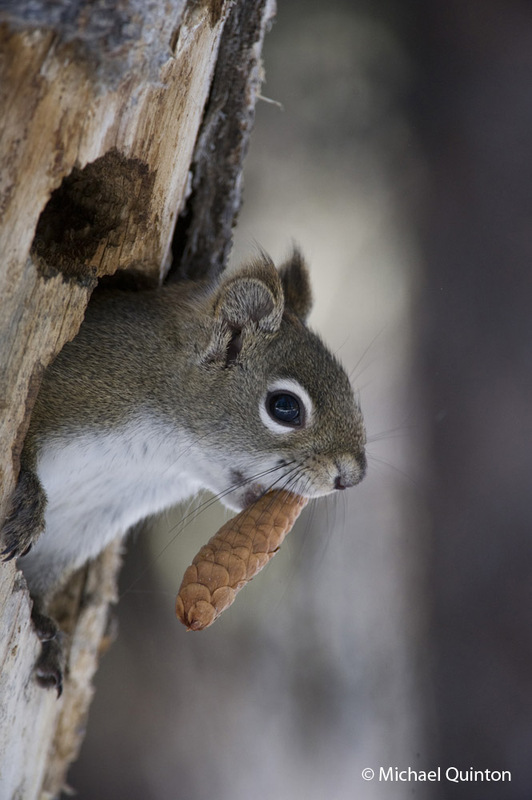 Red squirrel has cached black spruce cones in an old flicker hole. I am still on my backyard safari. This is where I do some of my favorite work. I have had professional photographers scoff at the mere suggestion of doing in-depth work with such “insignificant” species as the red squirrels, voles and the like. But I happen to enjoy photographing all species of wildlife including red squirrels. The idea of a backyard safari is to give one the incentive to compile a complete coverage of the wildlife in your immediate surroundings as well as gaining experience turning photographic potential into great photographs. 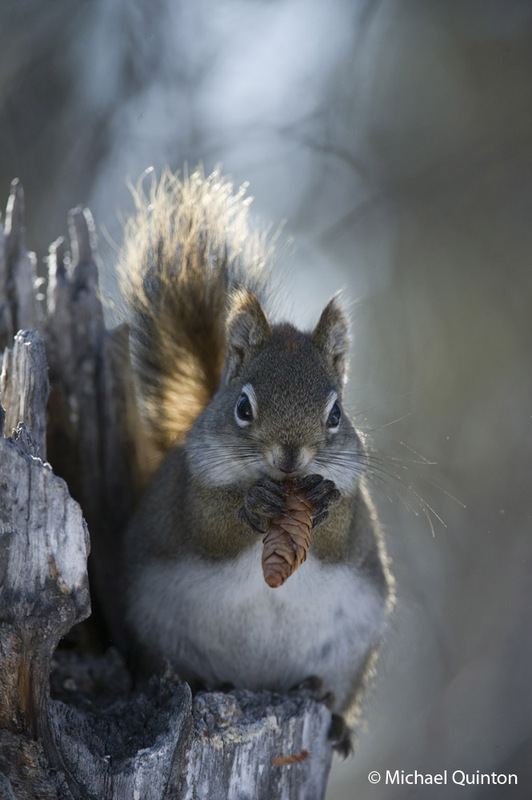 Red squirrel pry the scales off a spruce cone and feeds on the tiny seeds. The red squirrel jumping straight on is a tough one. I found a place where the squirrel routinely jumps form one branch to another. The distance is just over three feet and it takes less than a second. The problem lies in the tiny amount of depth of field with the 560 mm telephoto lens. 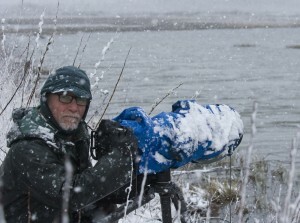 I use a Nikon 200-400 lens with a 1.4 tele-extender and pre-focus at about 4 meters. There is less than one inch that will be in sharp focus. I manage to get off about three frames each time the squirrel jumps and only about one in fifty photos will be in focus. What that boils down to is about one photo every four days will be a keeper. I could increase the percent of successful shots by adding a trigger which trips the shutter as the squirrel crosses a beam of infra-red light. Maybe next week. One of the few sets of snowshoe hare tracks I have seen in the backyard this winter. They are currently at the low-end of their population cycle. The male boreal owl is still calling from the flicker holes but not every night. I suspect he is also singing his territorial songs from other possible nesting sites in the area. 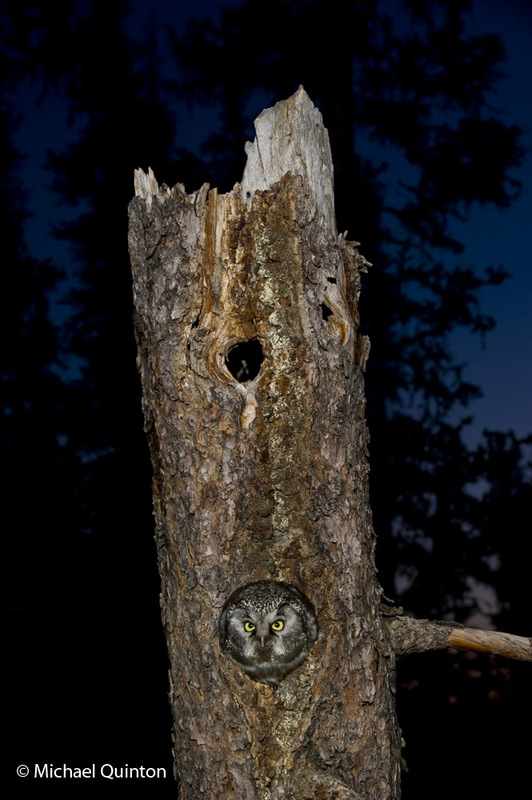 The male boreal owl begins his territorial songs just before dark. 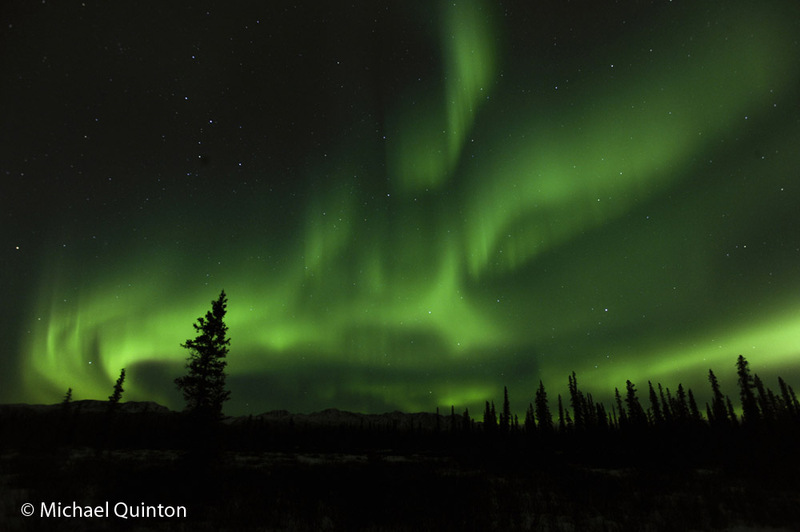 The aurora borealis usually begins with a band of green, glowing light in the northeast. 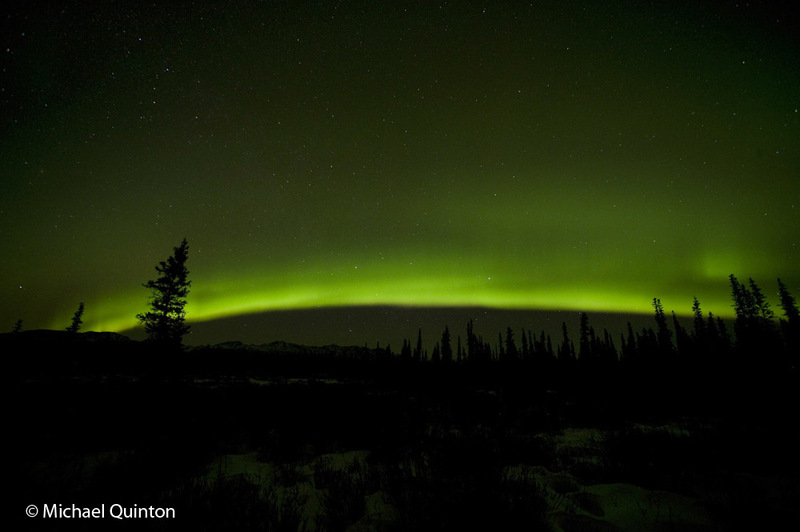 This entry was posted in Uncategorized, wildllife and tagged Alaska, aurora borealis, backyard safari, boreal owl, naturalist, nocturnal, northern flicker, photography, red squirrel, snow, snowshoe hare, spruce forest, tracks, wilderness, winter on March 25, 2015 by admin.